I just looked at the EDD website again because I'm trying to figure out what's going to happen after I get my last check this week from my current extension. To do that, I need to figure out which extension I’m just finishing now as well as my filing date. 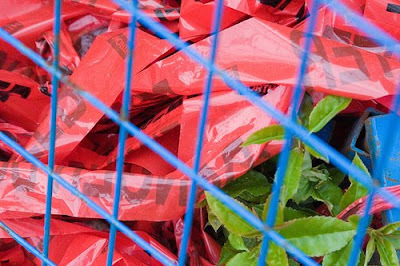 It’s all a bunch of red tape. I’ve been on and off unemployment since February 2008. I think my most recent filing date might be a September 2009 date because I taught summer school and didn’t qualify for unemployment for two months. From what I can tell, there are different rules for people filing before and after September 20, 2009. I’m not sure where I stand on this. I haven’t yet found all my paperwork, but the paperwork I do have isn’t very illuminating. The deadline to file for unemployment extensions was just extended to March 28, 2010. (This is a Sunday, so the actual deadline is March 27, 2010.) It appears that this deadline will be further extended to December 2010. However, there are no new extensions. There are currently four federal extensions plus an extra FED-ED extension for states with higher unemployment rates, like California. I think I just finished my third extension but I don’t know for sure. I don’t think I’ve used the FED-ED extension but I might have. I’ve read through the info provided by EDD, such as the announcement below. I took a break and went back to it. I used to read government docs for work, so I’m familiar with the patience required by them. I have to admit I’m stumped. Reading announcements from EDD must be what senility feels like. EDD is automatically mailing out forms to those who qualify for extensions. I am free to sit back and wait. I tried this technique before but the check never came and two months later, when I finally got someone from EDD on the phone, it was explained that it was a mistake that could not be explained (kind of like a Sunday deadline to mail the extension claim forms). I’m going to email EDD for more info. President Barack Obama signed legislation approved by the U.S. Congress that extends the filing deadlines for a month on the four different federal extensions of Unemployment Insurance (UI) benefits currently available. This legislation did not add more weeks of unemployment benefits to the federal extensions. It only extended the deadlines for filing the federal extensions. EDD estimates that 200,000 to 250,000 people are running out of their current benefits and need additional assistance while they continue to look for a new job. Any new extension or next level of extension will be automatically filed for customers whose regular claim or extension has recently ended. Claim forms are being sent throughout the week of March 7, 2010, within the two-week time period covered by the forms so no interruption in payments is expected for eligible claimants. The current legislation also extends the additional $25 stimulus payments on each week of UI benefits currently being paid by the federal government. The impact on an individual’s eligibility to collect further UI benefits depends on when they started their regular UI claim and when they are set to exhaust their current benefits. On March 10, 2010, the U.S. Senate approved new legislation that would extend the federal extension filing deadlines even further, through the end of December 2010. The legislation would only extend the deadlines for filing the federal extensions. It would not add more weeks of unemployment benefits to the federal extensions. This legislation still has to be approved by the U.S. House of Representatives and signed by President Obama before it can take effect. Our Web site will be updated if further action is taken on this bill. Please closely monitor our Web site for developments. For now, the current legislation makes Sunday, March 28, 2010, the deadline for filing a first federal extension of benefits, once a regular UI claim runs out. So once someone runs out of their state UI benefits (up to 26 weeks) they may then become eligible for up to 20 additional weeks of benefits in the first federal extension. Collecting any further extension benefits after that, if they remain unemployed and otherwise eligible, all depends on if Congress will once again push back the extension filing deadlines beyond Sunday, April 4, 2010. If Congress does not further extend the deadlines, anyone exhausting their regular UI claim after Saturday, March 27, 2010, will not be eligible to collect on any of the four federal extensions currently in place. Such a situation would apply to someone who started a typical 26-week regular claim any time after September 20, 2009. However, a separate extension of benefits may be available for those who exhaust their regular UI claim after March 27, 2010. California currently meets the threshold for a separate extension of benefits known as FED-ED. If California continues to meet the unemployment rate required to file FED-ED extensions after March 27, 2010, additional benefits are potentially available for eligible claimants once they run out of their original maximum of 26 weeks of benefits and remain unemployed. Learn more about the FED-ED extension program. The current legislation pushed back the filing deadline for a second, third, or fourth federal extension to April 4, 2010. Anyone just completing one level of the extensions and needs to continue on to another level will be able to do so by this deadline. Those who exhaust any level of extension after Saturday, April 3, 2010, will not be eligible for any further levels of extensions unless Congress once again revises the filing deadlines. If someone may not be eligible for any further extension after April 4, 2010, it is possible the individual could become eligible for the separate FED-ED extension. Learn more about the FED-ED extension program. If the individual has already collected on a FED-ED extension based on his or her most recent regular claim, he or she is not eligible to file for another FED-ED extension. Therefore, the federal extension collected on or after April 4, 2010, will be the last one available unless Congress again decides to extend the current filing deadlines on federal extensions. If Congress does not take action to extend the current version of the FED-ED extension law, and California continues to meet the threshold for FED-ED benefits, a FED-ED extension may be reduced to a maximum of up to 13 weeks of benefits beginning Sunday, April 11, 2010. If this happens and a claimant is affected by this change, he or she will be notified by mail. In addition, since Congress could take further action to extend the current filing deadlines on federal extensions, you are encouraged to watch this Web site for further developments. You can also sign up for our Twitter messages so you are alerted as soon as any new information is posted on our Web site. You had written, "It appears that this deadline will be further extended to December 2010..."
You have to wait a few days but they should be able to tell you what would happen after you next extension runs out. They do want us forever attempting to get a job (no duh), so they will use language that does not guarantee you anything. The point is, continue to document your job hunt and hopefully, the government will continue to offer you benefits for as long as you need it. Let me know how it goes! The first extension is for 20 weeks, the second for 13 weeks, the third has three parts. The first part of the third extension is a one week extension added to the last week of the second extension. The second part of the third extension is for 13 weeks. The third part of the third extension is for 6 weeks, of which a lot of people will not qualify for. The formentioned are Federal extensions. There is another extension, a State extension, that was created as a buffer during the time it took to get a third extension implemented called the Fed-Ed. The Fed-Ed is a 20 week extension for some, and a 13 week extension for others. One of the criteria for qualifying for any of the above extensions is the time, day, of possible qualification. There are deadlines to these extensions and other criteria as to whether one will qualify for any of the extensions. Every persons situation is different. Please know that everybody is not automatically entitled to all extensions. If you find that you do not qualify for an extension, you have the right to the appeal process. Thank you.